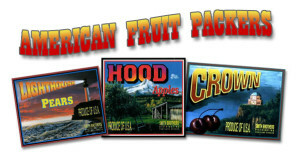 American Fruit Packer Series -the first TEN cars+1! My kids absolutely love the Christmas cars! The C.K. Holiday, along with the Carolwood and Disney cars makes a wonderful Christmas train. It made many a loop under our tree this year.